Are you good at painting or modeling? Are you creative, do you have an imagination and original ideas? Participate in art discipline of the CEMACH competition! 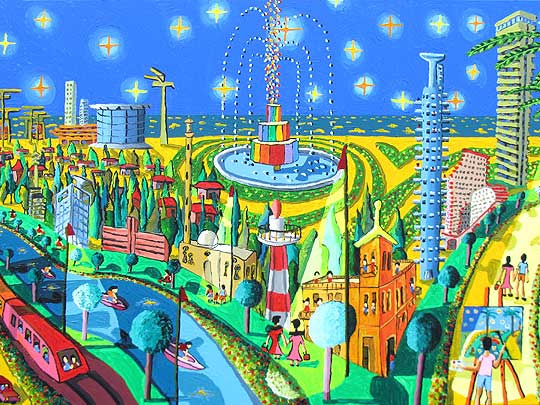 The task of this competition is to create an image, collage, sculpture, 3D model, graphic, plastic or other art creation that is connected with modern Israel, with its culture, personalities, society or landscape. Register to the competition. Choose the theme which you are interested in and choose the art technique. Then send the concept of your project to the guarantee of the art category Lada Krupková Křesadlová until the end of February 2016. You can describe your concept with a few sentences. If you are not sure with the choice of your theme, technique, format etc., you can request the guarantee of the category for a consultation. Then send the finished project by this schedule and physical works by post office to the undermentioned address until the end of March 2016. What should the project be about? An original idea can highly help you in final evaluation. You can demonstrate your opinions, tell the story, describe personality, refer to interesting facts about Israel through your project. Also the quality and pureness of the work are important. You don’t need to be a professional artist. We value your attentive and careful work. Every project should derive from good-quality sources of information. You can find enough sources on the Internet, but we also recommend you to use foreign-language journals, magazines and encyclopedias. Send only photographed, scanned or concepts in-process in graphic program to the guarantee’s address for consultation. If you do not fulfill any of the requirements, you will loose valuable points.